Some of the duty-free shops south of the border are offering a higher exchange rate on Canadian dollars in an effort to boost their sluggish sales. The falling loonie has triggered a dramatic decline in cross border shopping, leaving cash registers quiet at many shops just across the border. That's why Pac Can Duty free in Blaine is offering 90 cents to the dollar for cash purchases. With the Canadian dollar worth about 70 U.S. cents, Canadian shoppers are getting an extra 20 cents per dollar, says president David Grant. "It's a fairly competitive industry, and obviously with the decline of the Canadian dollar we had to do something to entice people to stop." said Grant. 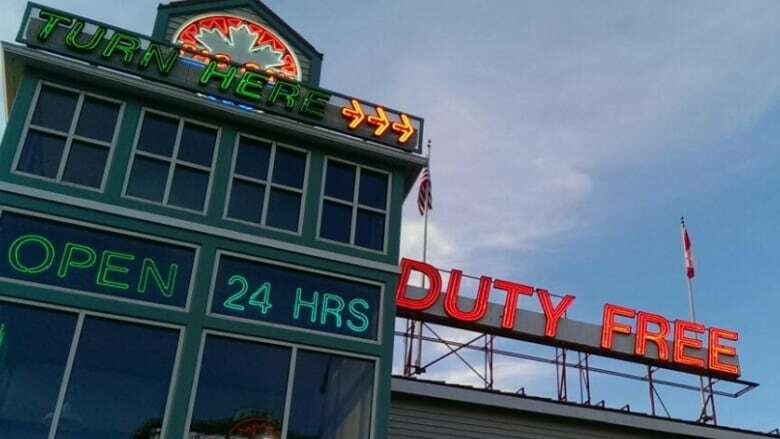 His shop's main competitor Duty Free Americas in Blaine — a national chain — recently made the same move, but Grant says its harder for an independent like him to absorb the costs. "Obviously it's a huge hit for us. With the dollar being around 70 cents ... there's 20 cents we're losing ... plus the bank charges you to handle money ... it's significant for us." Grant hopes the loonie will improve, not just for the sake of his business, but for other Blaine businesses dependent on Canadian shoppers.